A. Enter a Feed Name. B. Select the feed Type. For this, we need to choose TouchPoints, so we can add this event to the contact's history. C. Determine which kind of TouchPoint this is. I chose Contact Form, since it's coming from a contact form on my site. Whatever TouchPoint Type you have set up in the system for this kind of feed is great. D. Set whether you want the system to enter the Status as Scheduled or Completed. 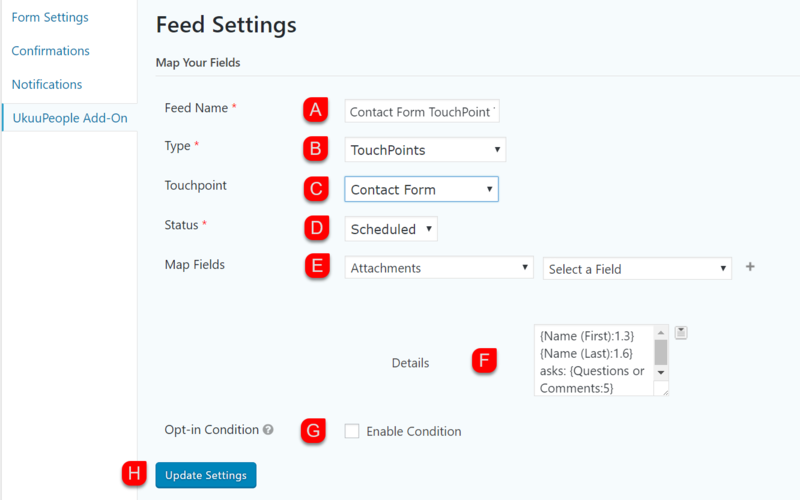 E. If your form has an option for attachments, you can Map that to the TouchPoint's Attachments field. F. In the TouchPoint files, there is a paragraph field where you can add details about this interaction with your contact. 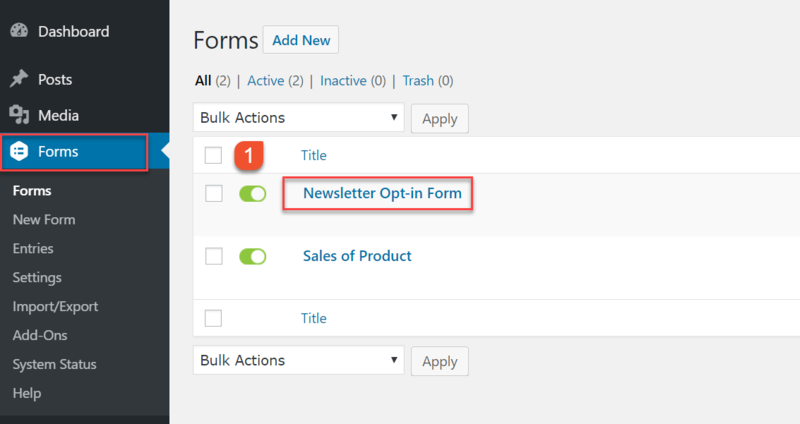 Here, you can determine what information from the contact form you want to show in the TouchPoint's Details. Just click on the little clipboard icon to the right to enter merge tags from the form and format as desired. G. The Opt-in Condition feature is discussed in a separate tutorial. H. Save your new feed and give it a try to make sure it's working like you want. The above feed should create a "Contact Form" TouchPoint, in which the contact's inquiry is mapped to the TouchPoint's Details. And here's the TouchPoint that created.